Brighton have been contacted by "some very high-calibre managers and coaches" about their vacant managerial position. Head coach Oscar Garcia resigned on Monday after a year in charge which culminated in defeat by Derby in the Championship play-off semi-final. "We can't divulge any names and we won't comment on media speculation," said chief executive Paul Barber. Tim Sherwood, who left his position as Tottenham manager on Tuesday, is the current bookmakers' favourite for the Brighton job. "Tim would be excellent. He has done a decent job at Tottenham since he stepped in," former Brighton & Hove Albion defender Gary Chivers told BBC Sussex. "When you have got a name like Tim Sherwood, it would entice players to come to the Albion. He is well respected within football and has been in the game all his life and knows the scouts and managers. "He is a very honest guy and says what he is feeling. You don't see that in some managers. There is no hidden agenda with him." "Once we confirmed we had accepted Oscar's resignation, that of course triggered a number of enquiries." He added: "It's certainly a very good indication of just how far our club has come in a very short period of time." The current bookmakers' favourite for the job is Tim Sherwood, who parted company with Premier League side Tottenham on Tuesday. However, Barber says the Sussex club, who finished sixth in the table following a last-day win over Nottingham Forest, will take their time over the recruitment process. "First we will sift through the long list of genuine applicants and then consider various criteria before interviewing our preferred candidates," he said. "At this stage, we can't and won't put a timescale on how long we think this process might take, as there are a number of factors which will determine that. "Our focus is, as ever, making the right appointment and maintaining our excellent momentum of recent seasons." Meanwhile, Barber says the Seagulls are in the process of finalising their retained list, with head of football operations David Burke and assistant coach Nathan Jones in talks with players who are out of contract. 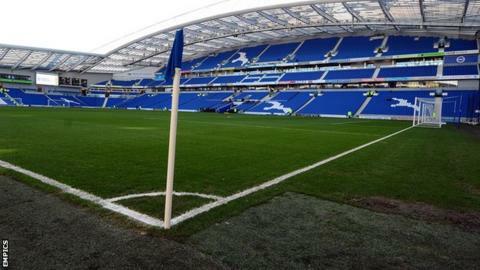 In a statement on the club website, Brighton said their supporters would receive an update on the "overall context" of Garcia's departure from the Amex Stadium in due course.